Notorious is one of these creators. On playing his levels, it won’t take much for you to discover what his passion is. The style of these levels screams out the name of their creator. That’s not to say that his library is limited in any way. Quite the opposite in fact, as Notorious pushes the boundaries of what can be done with the tools in LittleBigPlanet. Will it be a touching cutscene, set to ethereal music? A survival challenge set to a pounding bass line? Perhaps a platformer that glows with warmth and light, bringing a feeling of calm as you explore its beauty? It will be all these things and much more. Let’s delve in to Notorious’ pod, and discover what inspires him. No funnies on this one folks. It's too beautiful to spoil with that. There were more levels, but in a moment of madness I decided to delete about 8 of them. I don’t know why? Seemed like a good idea at the time. I should point out that most of these can only be described as average. I am quite proud of the Cheese Dreams and Moon Beams series though, you can see my early love for silhouette work just starting to take root. That is a tricky question. It is very hard to pick just one. I am proud of all my levels for different reasons. It could be that I got my head around a new bit of logic (Remarkably it does happen from time to time) or that I came up with a visually pleasing scene. I think LBP1 had been out for a little while. I’d heard some good reviews about the game but didn’t really know what it was about? I decided to take a punt on it. If I am being honest, initially I thought I’d wasted my money. Let’s just say that playing through the Gardens theme didn’t really grab me but I got through that, discovered create mode and haven’t looked back since! Oh dear! It was horrible. I can’t remember what it was called now? Something like Super Metal Gear Maze Escape or something equally as catchy. As the name suggests it was MGS themed, think it involved some very basic moving platforms, there was a horrible maze section, and then you had to run through some doors. In my rush to publish I think I forgot to put any check points in! And I’m sure it never had a level logo too. Hey, we’ve all been there I guess? I remember thinking that this is surely a 5 star level, imagine my surprise when the first comment I got was “THIS SUX” and the second was “H4H”. What was a H4H? I’ve learnt a lot since those early days. I love his work, in particular ‘At Worlds End’. This is just an awesome silhouette level. The atmosphere he created was spot on and the effects he came up with are jaw dropping. I would love to know how he did it (Along with thousands of other people, I guess ). I consider this to be the benchmark that all silhouette levels must be judged against! I’m constantly trying to come up with something equally as polished as this. I have a feeling that I will be trying for a long time to come. What can I say about Alex? He is probably my favourite creator at the moment. Every now and again you stumble across a creator that makes your jaw drop. ZedCOcoZza has definitely done that. His Silhouette work is of such a high standard that it puts nearly everything else I’ve seen in the shade. Playing his levels has really inspired me to raise my game and get back onto the Vita to create again. If you haven’t played any of his levels I really can’t recommend them enough. I really respect OmieR. All his levels are so atmospheric. You can tell that he spends a lot of time trying to create new and interesting worlds for us to explore. I always look forward to a new OmieR level because I never know what he will create next. He has a great range. I fell in love with this level from the first moment I saw it. The art style is awesome. The intro is packed with charm and the gameplay if full of devious puzzles. Festerd_Jester music fits perfectly to the game too. All of this combined makes Flint a very inspiring level,. A LBP instant classic! I get inspiration from everywhere! I’m not joking. I carry a notebook around with me where ever I go, so when I get an idea I can jot it down. Think I’m on my forth one now. "Put aside the everyday world and come with us to the realm of imagination, the middle ground between light and shadow." Last year I was on holiday with my wife in Cornwall. We were in a little trinket shop and on the wall there was this dragonfly art. I thought it was quite interesting, full of bright colours. I took my phone out and when no one was looking I took a snap. When we got back to the apartment that night I started work on what would become Nocturnal. It’s funny to think that that level only came about because we walked into that shop. When you are searching for inspiration, it really can come from anywhere. This may sound cliché but I think LBP is more than just a game. I think MM have created their very own art form. Little Big Planet is a vehicle that allows anyone to get creative. You don’t have to be good at drawing or painting to be able to make something in the game. All you need is a little imagination. I’d also have to say the LBP community. I’ve made some great friends and met some cool people. None of that would have happened without this game, and I’ll always be grateful for that. For me personally it is people that boo perfectly good reviews. I know it’s not a big thing but you see it everywhere. A review that offers encouragement or constructive criticism will most likely end up with 10 boo’s next to it. I also don’t like that fact that time speeds up while in create mode, 4 or 5 hours can just fly by. MM should really develop a patch for that! Oh yeah loads. Before LBP2 came out my Playstation got a nasty case of YLOD. I decided to take a break from playing the game for a while. This gave me plenty of time to just come up with ideas. I probably had ideas for about 7 or 8 levels ready to go by the time it was released. I thought, this is great, with all this planning I’ll just knock out level after level… Well it didn’t really work out like that. Apart from a short intro film called Better Worlds I published nothing else that year. I never stopped building and coming up with ideas but I just couldn’t get anything to the point that it was ready to publish. I think it was a case of actually having too many ideas as I couldn’t stay focused on any one thing for more than a week or so. The Better Worlds project is definitely my ‘one that got away’. LBN have this thing called QPQ. This means before you post a level on that site you have to play and review at least two others. Might be a cool thing if that was the same in-game? Before publishing you had to play and review 2 others. Just a thought? A truly magical setting isn't hard to find on this earth! I'd like to start off by learning a little more about you as a creator. You seem to have a passion for silhouette effects in your levels - and I would probably argue that you are one of those creators who has mastered the effect - The depth that you create with such a limited palette is truly breathtaking. Do you set any limits on yourself when you set out to create a new silhouette level? And do you find that working in silhouette provides you with a greater challenge? That's very kind of you to say that. I'm not sure I've mastered it just yet, but it’s definitely moving in the right direction. I never really set out to specialise in silhouette work, I sort of stumbled into it. I just wanted to make one good silhouette level. There is something about the effect that has always intrigued me, and I wanted to try my hand at it. I think a silhouette image can be very powerful. I guess it’s the fact that all the detail is hidden from you, you know it's there, but you can't see it. It forces your imagination to complete the image. There are many different styles of silhouette. I guess I try to make mine look as realistic as possible. Working in silhouette does provide its own unique set of challenges; you need a different mind-set when creating. For the most part I will only use one playable layer. Everything else will be set aside to creating depth and atmosphere. This is probably the part of the game that I enjoy the most. For me, LBP is escapism. After a long day at work there is no better way to wind down than creating a scene, experimenting with different lighting effects and adding layers of detail. When you get to the point where you have a ‘living’ scene it is very satisfying. As for limits, I don’t really set any, not visually anyway, anything goes. The only limits I have are my complete and utter lack of any logic skills and coming up with interesting gameplay. Apart from those two small aspects of creating I can hold my own. lol! I have a feeling you might be selling yourself a little short there! But nonetheless, we all have our own weaknesses. Do you find that you have other creators who you turn to for help when you hit a wall? Okay maybe not a complete and utter lack but it's certainly a weakness. Yeah I have friends I can turn to for help when needed. They know who they are.  . I am very grateful for everything they have done for me. Hopefully I have been able to help them out too. I'm also a member of the Ghost Creators, that's an incredible pool of talent to be able to call on for help right there. Sabre has done a great job assembling that group. BLACK44 is an artwork gallery that moved me deeply when I first saw it. It's packed with beautiful artwork, and a wonderful ethereal sense of respect for those who go to fight for their country. Can you tell me a bit more about this level? [COLOR=#505050It really started life as just a couple of shots, something different to work on in between other things, but it turned into something more, a serious project with a powerful anti-war message. I think it’s quite unique, I haven’t seen anything else like it. Through my job I meet a lot of elderly people, many of whom went to war. Speaking with them you can’t help but have a great admiration for what they did. So I guess the message I was trying to tell would be one of respect, and the sacrifice that so many made. One thing I love about the creative process is how an idea can evolve over time. You start adding layers to it, maybe go in different directions than you thought. Often the end result is nothing like the original idea you had. BLACK44 really illustrates that fact. The title came from a Pink Floyd lyric, from the song ‘when the tigers broke free’. BLACK44 is an artwork gallery, a series of still images, set as a short film. I think it probably represents some of my best silhouette. The music I used was from CORTSTER12 and it really helps add to the tone that I was after. I was looking for a striking way to end it so I went on to the internet and found some old black and white war photos, of soldiers and refugees looking forlornly into the camera. I added these to the end of the film as the camera slowly scrolls down a long list of names. The names are all genuine. Originally I wanted to have some sort of voice over at the beginning leading into the start of the film. Something like an old man telling his war stories, or a soldier writing a letter from the front line back to his wife. This never actually worked out, but I’m still very proud with the end results. MuddledMuppet did a remix on Youtube with a voice over, It’s pretty powerful stuff. Thank you. I had the elements of PULSE sitting on my moon for over a year, just gathering dust. Most of the sections were built but just needed to be arranged and put into some sort of playable order. I tend to create like that, building lots of different elements then I pull my hair out trying to figure out how to place and link them up. My previous levels up to that point had been quite relaxing so I wanted to do something different with PULSE. That’s where the futuristic green and black neon theme came in. I stumbled across the music from FPM (Thanks Chris), the uplifting Trance track fits well with the visuals. Robot Rock came from the much maligned lift section in PULSE. I always thought that It would stand up as a mini game, especially if I cranked everything up to 11! As I said I really struggle with logic, so it was a bit of a challenge. Everything is activated by an obscene amount of tags and runs off three sequencers running simultaneously. Again, I went back to FPM to look for some music and found his Daft Punk cover of Robot Rock. Looking at some Daft Punk live shows on Youtube gave me the idea of setting it in a club, with a live audience, I think this touch sets it apart from other survival levels. Because the level is sequenced to the music it did involve a LOT of tweaking. I must have listened to that song over 500 times. My wife still has nightmares of Robot Rock. Ha ha. I have to thank FPM and The—Waffle for the use of their music because it really makes the level. Thanks guys! As you mentioned, you are part of the "Ghost Creators", a group of creators on LBP who got together to help each other get some more exposure in the community. I wouldn't be the only one who's started to hear murmurs about you guys - your group ethic is really solid, helping each other out for the greater good! What attracted you to this group, and where do you hope its future leads? I had just published ‘A Journey through Silhouette’ and it seemed to be going down quite well, Sabre then got in contact and asked whether I wanted to join the group? I have to be honest and say that I hadn’t heard of them at that time. I’m glad I accepted though. It’s a really exciting group to be a part of. I think we number near on 70 creators now, and new creators are coming in all the time. We now have creators specialising in all aspects of the game. That’s the thing that excites me the most, the new talent coming in. All these guys are great creators but for one reason or another haven’t yet got the recognition that their talent deserves. Take Peoriaspitfire for instance. He is an incredible creator. His Aqua-Fried levels are awesome, full of some of the best detail you will see anywhere on LBP but he has only just broke through 100 hearts. Something isn’t right there? He’s not the only one though. There are probably hundreds of other great creators out there in the same boat. Hopefully the group can help some of these guys out. As well as helping your friends in the group, you help to run the Twitter account @LBPSneakPeaks, is that right? What made you start this account, and what's involved in running it? It has grown quite quickly over a short space of time. There is now a YouTube account and a new site http://lbphiddenmoon.blogspot.co.uk/ (Sorry about all the plugs!!) . We now also have Pookachoo and Kato on the team too. Pookachoo helps out with promoting LBPV and LBPK levels and Kato handles the level reviews. Do you find that you get a good response from the tweets you make? I know when you tweeted a few of my level previews I felt quite flattered! I think everyone likes showing off their hard work, @HiddenMoon helps enable that. Whether it’s a level shot or an incredible piece of artwork, we’ll try to get it out to as many people as we can. As if all this wasn't enough, you're also a member of Central's Contest Crew. We all know how hard the Contest Crew work to continue bringing us new opportunities for competitive hijinx - what's the highlight for you of being part of the crew? Yeah, that was a shock. It was a great honour to be asked to join that incredible group. They really are dedicated to the community. Being on the ‘inside’ I’ve witnessed the amount of passion and effort that is put in to creating and running a contest. You made a few levels on LBP Vita which sparked the imagination of players everywhere, including Nocturnal, which you've already told us about. Tell me, how does the challenge of creation change in Vita as opposed to LBP2? Are there features which you miss when you put your Vita down and return to your PS3? Are certain things more challenging in Vita than LBP2? To be able to inspire other people is one of the best feelings a creator can have. If you are right and I've managed that, even in a small way, then I am very happy. I am really enjoying creating on the Vita at the moment. First and foremost it is the portable nature of it. You can create anywhere. If I go on holiday I can take it with me. I know my wife is happy that she doesn't have to sit there watching me create so much these days. It also has a lot of cool features and materials that LBP2 doesn't have. The text tool is great. No more sitting there wasting time and thermo with fonts. I like that fact that the lighting settings have numbers to them now, that you can position materials in layers. Just little things like that really. I would have loved to have seen these features moved over to LBP2. It doesn't look like that will happen now. Hopefully they will see sense and put them into LBP Hub or LBP3, If that sees the light of day. You sometimes go by your other name of spacemonkey187. If you really were a monkey in space, you'd need company. What kind of animal would you have as your sidekick? Erm, Yeah.... I guess the obvious answer would be a Rocket Cheetah. Adventures of a Space Monkey and his Rocket Cheetah! First off I’d just like to thank you and the Spotlight Crew for doing this for me. It’s a great honour. I never thought I’d ever see that day that I’d have a Spotlight done on me. As for advice to any new creators… That’s very simple. Just have fun! Create for the joy of creating and put love and passion into your work. What is this thing you earthlings call dancing??? Well, that about sums this interview up. 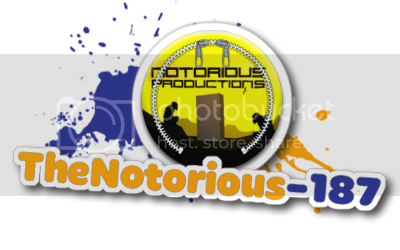 Notorious has flourished as not only a marvellous creator, but a curator and highly active part of our community. He has elevated himself to the point where he is respected for both his creativity and his passion - something that I'm sure many of us have strived for in the LBP community. I hope you've enjoyed delving into his process and ideas as much as I have!